Sylvain Chauveau might not be the first artist that springs to mind when you think ‘remix’, but ‘Abstractions’ manages to sweep up the rare occasions when the French neo-classical feller allows himself to tackle tunes out of his regular comfort zone. 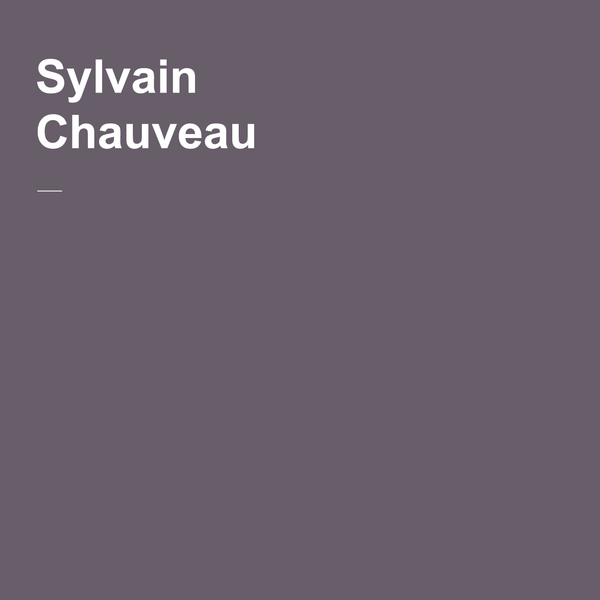 Last we heard from him was the fantastic collection of minimal crooning ‘Singular Forms (Sometimes Repeated)’, and ‘Abstractions’ links nicely to this as Chauveau tackles vocals and melody in a similar manner. Opener ‘Heart Beating’ is a remix of Agoria and strips out the production entirely leaving only a bare vocal, which Chauveau pairs with a forty-piece orchestra, you know, as you do. The result is a beguiling and singular re-imagining of the original track, which is exactly what you’d hope a remix would be (yet rarely is). Elsewhere Chauveau lends his overactive mind to Arca, and tackles a growling, distorted bassline, slowly building in electronic elements which bring to mind the smokey cinematics of his first album, ‘The Black Book of Capitalism’. Speaking of that album, we get a rework of one of its highlights, the church-bell laced ‘Derniere Etape Avant Le Silence’, one of two instances where Chauveau has gone back and reworked his own tracks giving a fresh take on the sounds. ‘Abstractions’ is another gem from the Gallic gent, and hopefully not too long a stopgap before the next ‘proper’ full length - until then we’ve always got the repeat button.